Public transportation strikes are a frequent occurence here in Milan and are a huge inconvenience. They cause complete chaos; traffic is terrible, it’s impossible to get a taxi and people are more frantic than usual. Yesterday, was one of those days, and the second one this month might I add! As a business English teacher, I hop around the city by public transportation teaching lessons in different companies. Whenever there’s a transport strike, I can’t get around. I don’t drive in Milan, nor do I intend to attempt it. When I lived in Canada I spent most of my time in the car and here in Italy it’s the exact opposite, and I like it! That said, I had to cancel my afternoon lessons as they are too far to get to on foot. I got up at 7am, had my Apple Cinnamon Rice Porridge for breakfast, got ready and walked to my morning lesson. It was a beautiful and sunny morning and the walk did me good. On the way home I stopped into this new organic supermarket to pick up a few things, among which were fresh blueberries and raspberries! Yum! I got home had a quick lunch and got to preparing this delicious treat you see in the pictures. I had a rough idea of what I wanted to make, but the exact details were blurry. 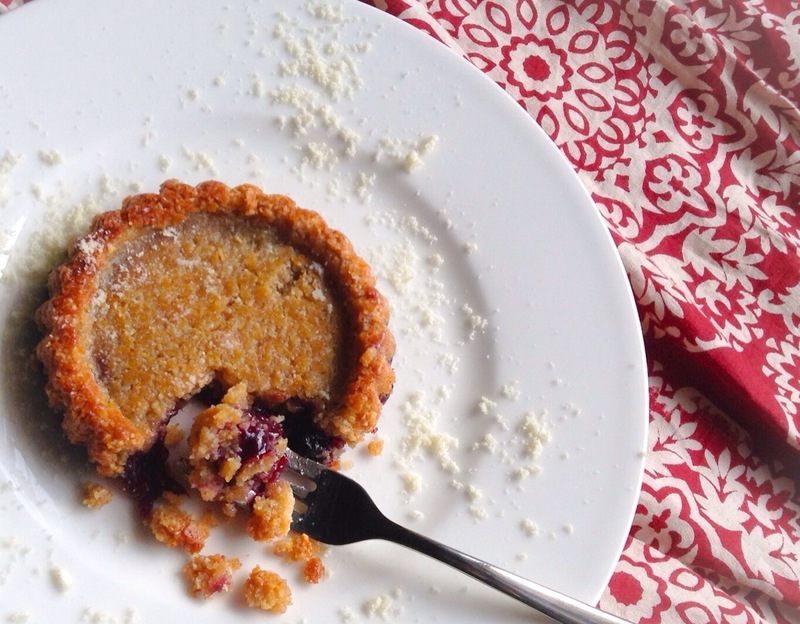 I knew it had to be a sugar-free and flourless dessert, so I started by pulverizing some nuts and cooking down the fruit, and within 30 minutes, I had these wonderful Berry-Nutty Upside-Down Tarts! Hooray for metro strikes and successful experiments! 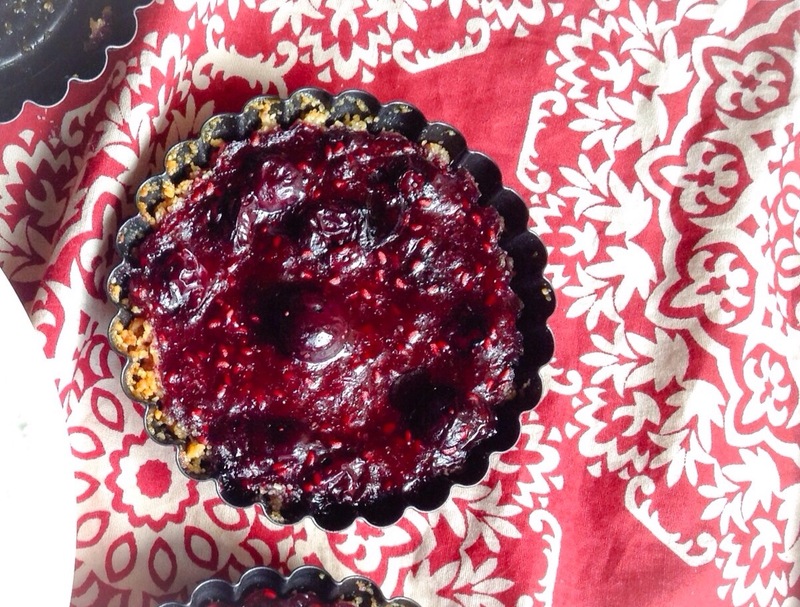 As you can see from the picture above, the first one broke apart on me when I took it out of the tart pan, but it made for a great photo op, as you can see the berry deliciousness oozing out from underneath the nutty crust. Needless to say I ate it in 2.3 seconds and if I may say so myself, it was scrumptious. I then sat down to write the recipe in a hurry. 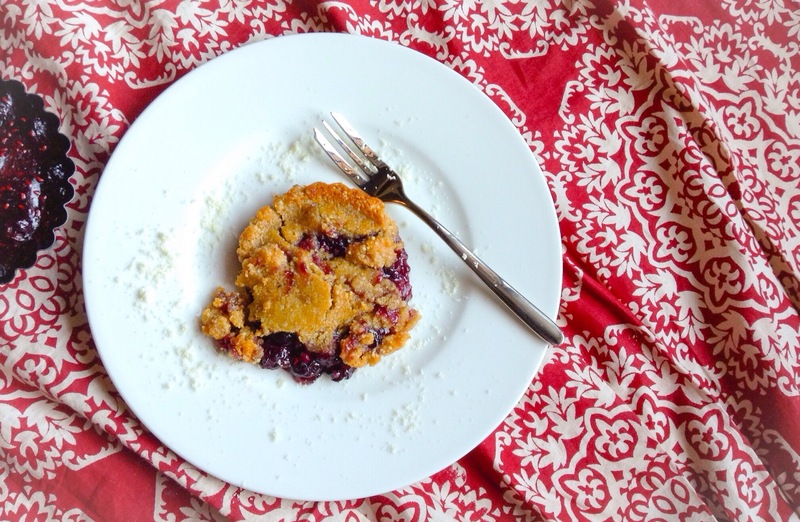 I don’t always remember to measure when I’m cooking and baking, but it’s a habit I’m learning now that I’ve decided to blog about it :-). Almond flour (aka. finely ground almonds) for dusting. Add almonds and walnuts to a food processor and blend until pulverized to a flour. Transfer to a mixing bow, add Sunflower Oil and Barley Malt and mix u ntil you get a nice and compact ball of dough. Form into an oblong shape and slice into 6 equal pieces. Rinse berries in cold water and add barley malt and vanilla to a small pot over medium heat for about 10 minutes. The raspberries will produce a natural liquid as they cook down. Dissolve 1 Tbsp of Kuzu with 3 Tbsp of cold water and add to berry mixture. 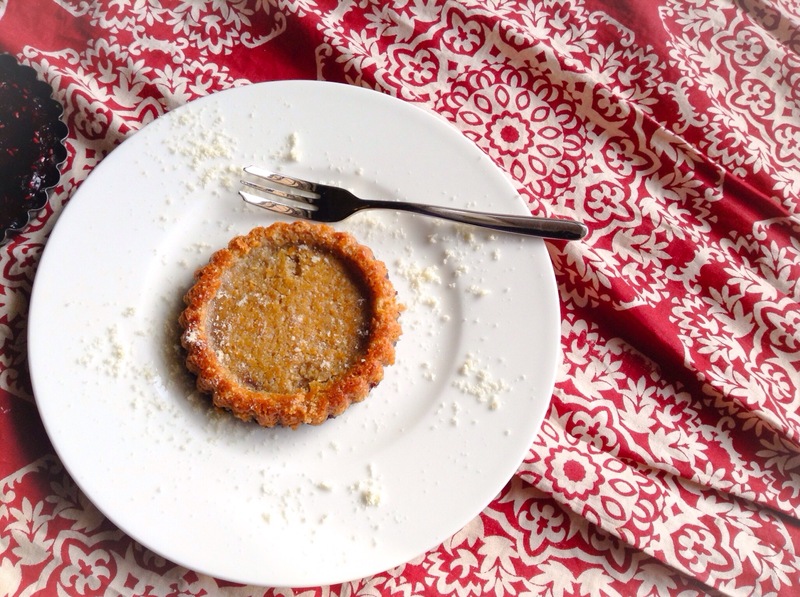 Brush tart forms with sunflower oil and press nutty crust mixture into the bottom of the form. Bake on 180 degree celsius for 15 minutes. Remove from oven and let cool about 10 minutes. 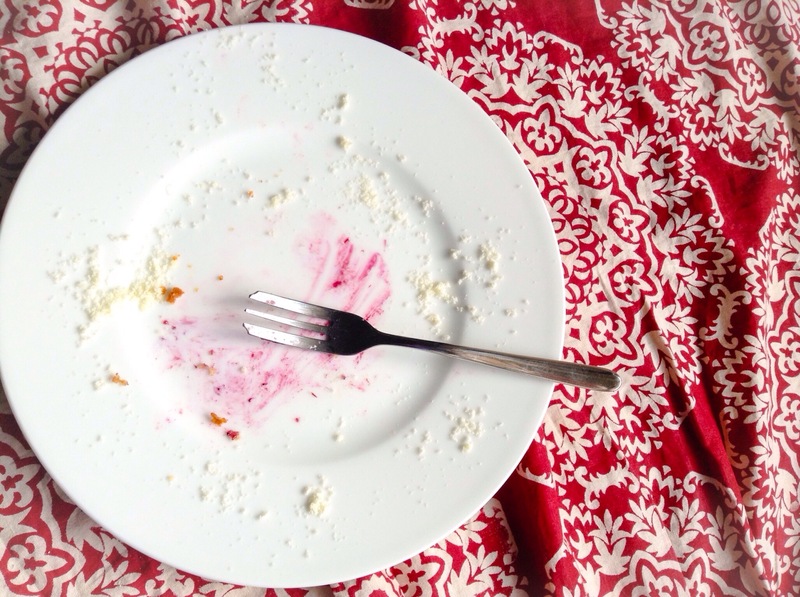 Turn upside down onto a plate, dust with almond flour. You’re my hero! That looks awesome!!! This looks absolutely delicious! I’m not even vegetarian/vegan/macro and I want to try it! But what exactly is this Kuzu stuff? Thanks! Learn something new everyday. That’s great to know.